The Event For Digital Business Leaders And Technology Innovators. Join us to learn how technology and new capabilities transform your organization to a thoroughly digital business. don't stay behind, join our digital leaders and lead your business through the digital journey. Are You Ready to Tranform, Joing Our Summit. join 1,500 of the country’s brightest Digital, thechnology and business leaders, start-up founders, and other innovators, for our yearly Digital Summit, In these 2 days event, we will bring forward the most important themes and discussions in digital & business transformation. A reception cocktail and smart business Pitch night with our key guest speakers and C-level executives. Brian Solis is a principal analyst at Altimeter Group, a Prophet company. He is also an award-winning author,prominent blogger/writer, and keynote speaker. A digital analyst, anthropologist, and futurist, Solis has studied and influenced the effects of emerging technology on business and society. He is a regular contributor to leading business and industry publications including Adage, Forbes, Wired,VentureBeat among others. Brian is also an official LinkedIn Influencer with over 500,000 people on Linkedin,Twitter and Facebook. 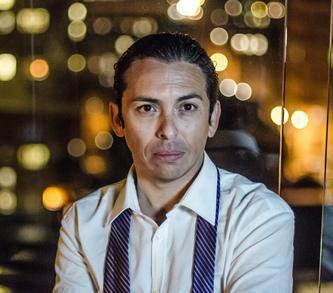 For more information on Brian Solis, click here. More Speakers Comming Soon ! !